The Impact Woman’s watch is made of stainless steel. 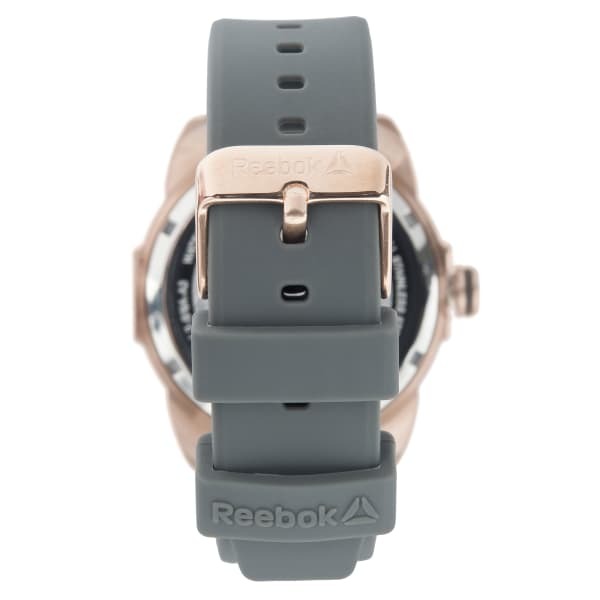 It draws inspiration from the distinctive form of the Reebok Delta logo. The triangular Delta shape is visible in every nook and corner. While its male counterpart plays with edgier and more straightforward angles, the women’s model with its smaller case emphasises a softer approach to the Delta shape interpretation with rounder edges and a more feminine design. With its crystal stones on the dial and bezel, the Impact Woman watch will definitely amp up your 'glam game' before, during and after workout!